The purpose of the Whistler Program for Female Pattern Hair Loss is to provide effective treatment for women with female pattern hair loss and to serve as a centre for clinical research into new and more effective treatments. 1. What is female pattern hair loss (FPHL)? • Female pattern hair loss (also called androgenetic alopecia) is a relatively common type of hereditary hair thinning. About 30 % of women are affected by the age of 40. • Although hair may become quite 'thin', women do not become 'bald' as in men. • Hair thinning may start as early as the teenage years, but more commonly in the 20s, 30s or 40s. 2. 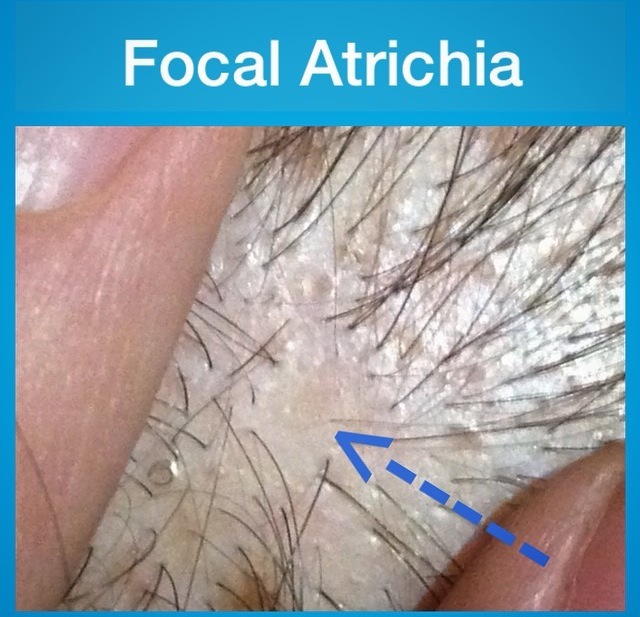 How can I recognize female pattern hair loss (FPHL)? • Typically, a female slowly becomes aware that she has less hair in the 'middle' of the scalp than previously. The sides and back may also be affected. • The individual may notice that her scalp has become slightly visible now and it takes more effort to style the hair to hide the thinning. • The size of the ponytail becomes smaller in diameter. • While all this is happening, she may also notice that her hair becomes greasy more quickly and shampooing must occur more often to keep the hair looking fuller volume. • There is much variation in the diameter and length of hairs – some and thick and long while others are fine and short. 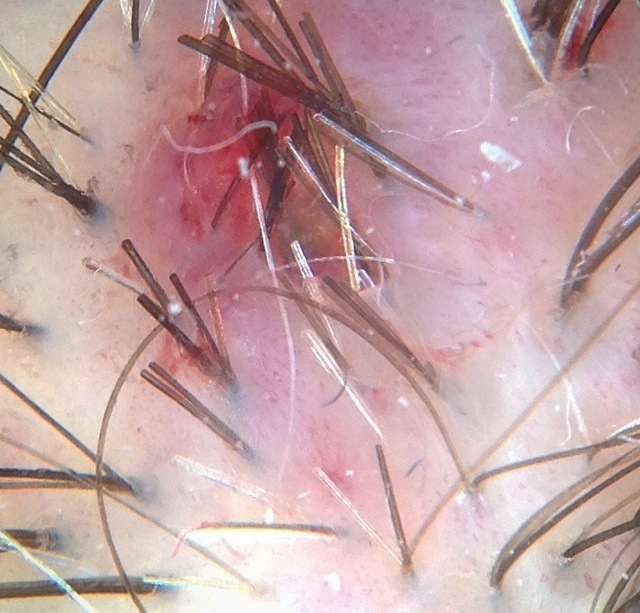 This variation in size represents the gradual miniaturization of hair follicles- they become smaller and smaller. 3. What causes female pattern hair loss (FHPL)? • This form of hair thinning is a normal hereditary trait that is influenced by two factors – the normal male hormone and heredity. • The influence of the normal male hormone on hair follicles that a programmed to genetically get thinner causes their 'miniaturization' over time. 4. Does female pattern hair loss come from mother’s side or father’s side of the family? • Contrary to popular belief, the genetic trait can be inherited from both sides of the family – mother or father(or both sides). • Affected members in the family may have varying degrees of thinning. 5. Do women with female pattern hair loss have too much male hormone? • The difference is that the hair follicles are MUCH MORE SENSITIVE to the normal male hormone. 6. Do female patients with FPHL require hormone tests as part of the blood work? • In most cases, the answer is ‘no’.